Feeling maybe just a little bit frustrated with your current "commander-in-chief"? 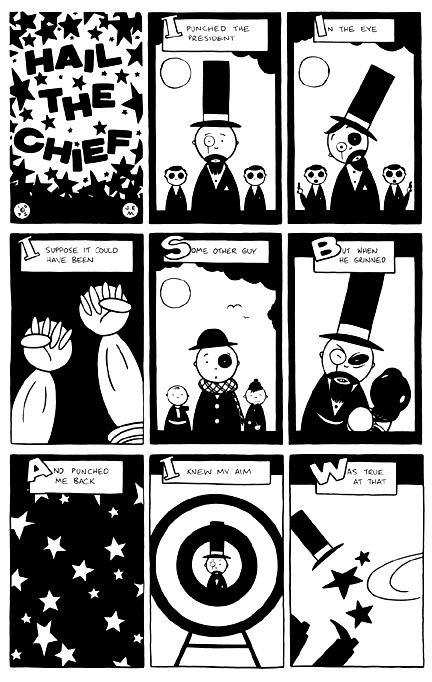 Take it out on him figuratively with this one-page cartoon from the debut issue of my comic A WORLD OF TROUBLE, first published by Black Eye Press in 1995. India ink on bristol board. 8" x 13". NOTE: Art comes close to board trim on left side, but is quite framable, just will require a tight mat.